The NSW Greens launched their TAFE Changes Moratorium (Secure Future for Public Provision of Vocational Education and Training) Bill on 12 November at Parliament House. 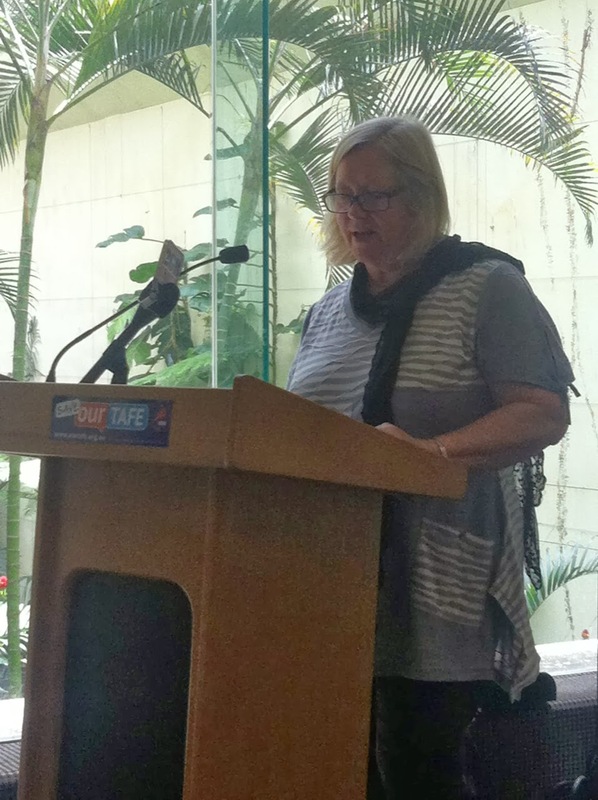 The TAFE Community Alliance addressed the quite large group, along with John Kaye Greens MP, Maurie Mulheron from the Teachers Federation and Anne Gardiner from the PSA. The Bill sets out to maintain TAFE as the principal provider of VET, to restore funding per student hour to a minimum of 2010/11 levels, and to freeze TAFE fees also at 2010/11 levels. We are all urged to visit our local MPs and to urge their support for the Bill.